One SF-12 off the corner of a Leslie. Recorded direct to DAT. 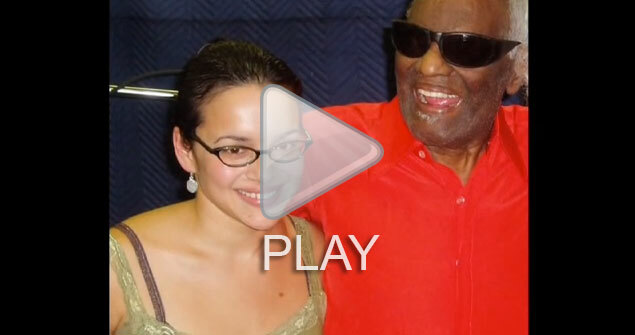 This extraordinary session was held in Ray Charles’ Los Angeles studio in November 2003. I was privileged to attend and was given permission to take photographs with a small pocket camera. The musicianship was incredible, with most parts of the song being done in one or two takes. 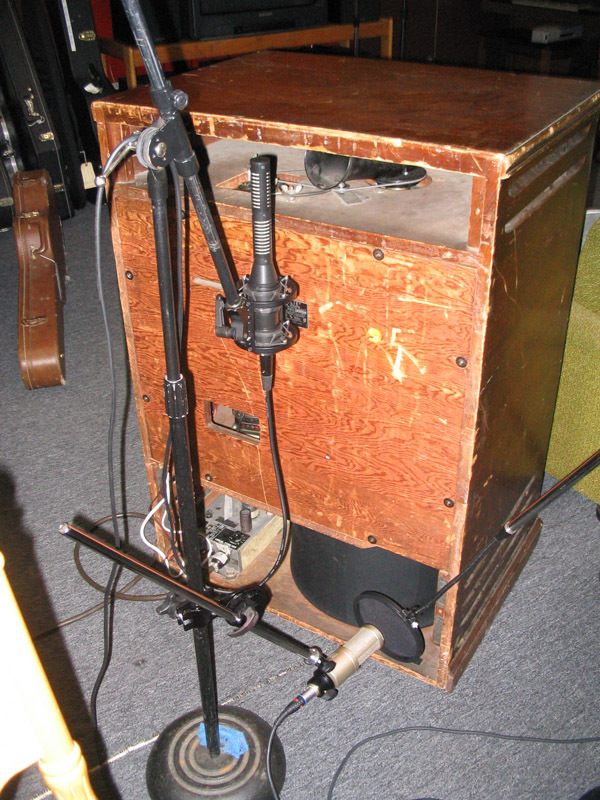 B-3: Billy Preston’s Leslie cabinet was miked with two R-122’s, one positioned on the top horn and one on the bottom. 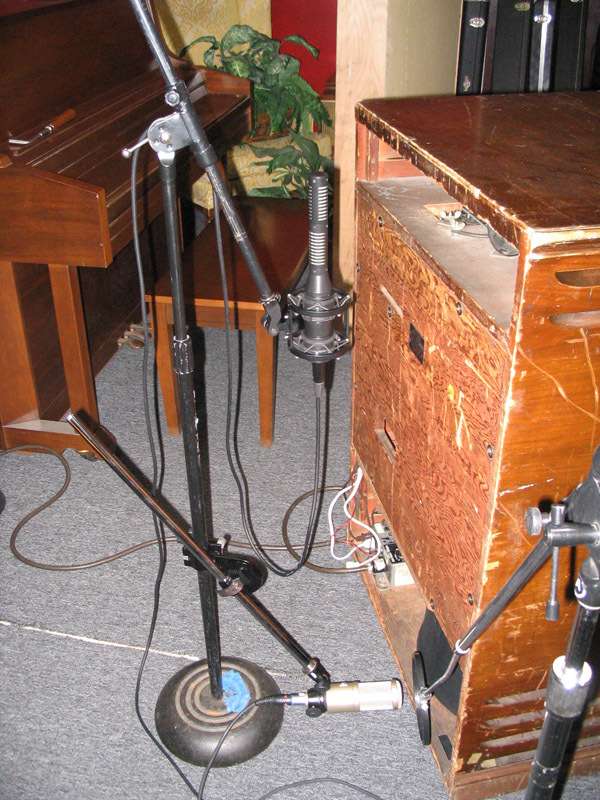 Piano: An SF-12 was positioned inside Ray’s piano alongside a couple of condenser mics. The SF-12 was the main mic used in the final mix. Electric Guitar: The electric guitar amp was miked with an SM-57 up close and an R-122 further back, blended in the mix. Recorded and mixed by Ross Hogarth. Produced by Ross Hogarth and Stephen Bruton. Recording chain: All mics through Neve 8088 board preamps. Recorded to Pro Tools HD. 1b) Mono Drum room: R-121 five ft in front of kit, 3 1/2 ft high, compressed with Chandler EMI. 1c) Resonator guitar: R-122 in front, with a U-67 over the shoulder. 1d) Harmonica: Shure Green Bullet mic on harmonica to tweed Vibrolux. R-121 on Vibrolux amp. Recording chain: SF-24 to Great River MP-2NV preamp. R-121 to Neve 8088 board pre to 1176 compressor. Recorded to Pro Tools HD. 2c) Electric Guitar: R-121 on tweed Vibrolux.